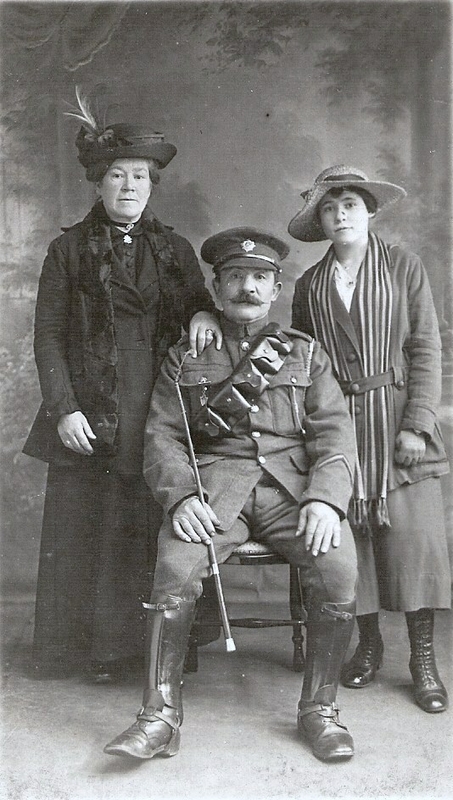 Thomas Gully and his wife Hannah Patten, of Lichfield Road and later 4 Wolverhampton Road in Wednesfield in 1911, lost two of their sons as a result of the war. Lance Corporal Charles (or Charley) Sydney Gully, a safe maker, was a member of the 1st/5th Battalion of the South Staffordshire Regiment, service number 203417. He was previously wounded on 1 July 1915 when part of the 1st/6th Battalion. He was killed in action on 21 November 1917, killed by a snipers bullet whilst on sentry duty, and is buried at Philosophe British Cemetery, Mazingarbe, in France. According to the Commonwealth War Graves Commission, he was aged 25 when he died, but there is no birth record for a Charles Gully for that period. The most likely candidate is a Charles Sydney Gully, whose birth was registered in June 1890 in Plymouth, which would make him about 27 years old when he died. His brother, Harold (or Harry) Francis, was a vermin trapmaker. His birth was registered in September 1893 in Barton Regis, in Gloucestershire. His entry on the Commonwealth War Graves Commission site states that he was the husband of Mabel Alice Gully, who was originally from St Helier, in Jersey. No record of their marriage has been found, but this is possibly because it took place in Jersey. Harold served with the 3rd Battalion of the South Staffordshire Regiment, service number 9388. He died on 23 October 1918 and is buried in St Thomas’s Church in Wednesfield, so we can presume that he was ill or wounded and therefore died at home. Both men are commemorated on the Wednesfield Village war memorial. There was a third Gully brother who served during the First World War. Private Esau Gully entered the war on 21 July 1915 in the Balkans with the 7th Battalion South Staffordshire Regiment (number 9773). 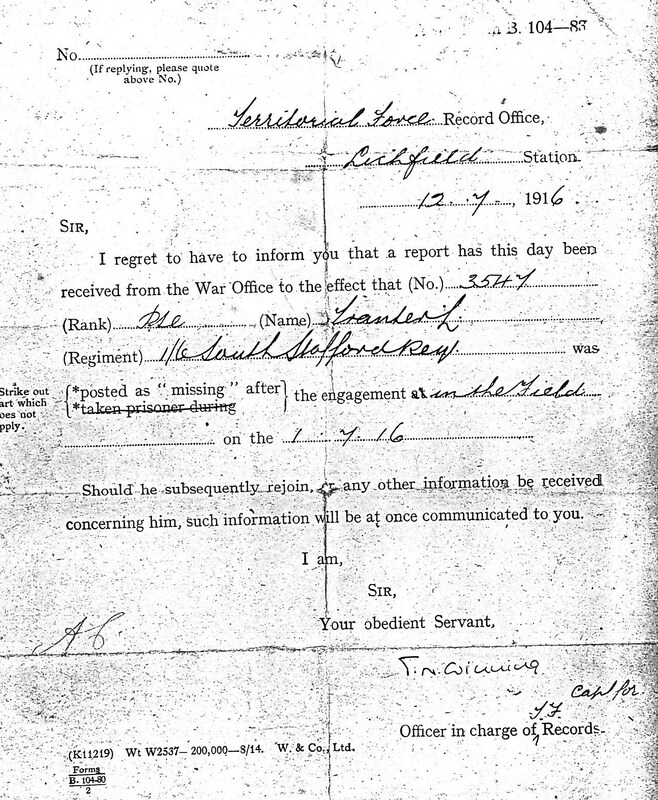 He was discharged “sick” on 8 July 1917 whilst serving with the 2nd Battalion. He was awarded the Silver War Badge (number 208503) on 27 June 1917. He died in Lichfield in 1978. We sank the Nurnburg on December 8th. I shall never forget seeing the German ship sunk and the lifeless bodies of her men floating in the water. He goes on to give more detail about how they were about 3000 miles from England when they “gave chase” to two German ships, and “sent them to the bottom”. 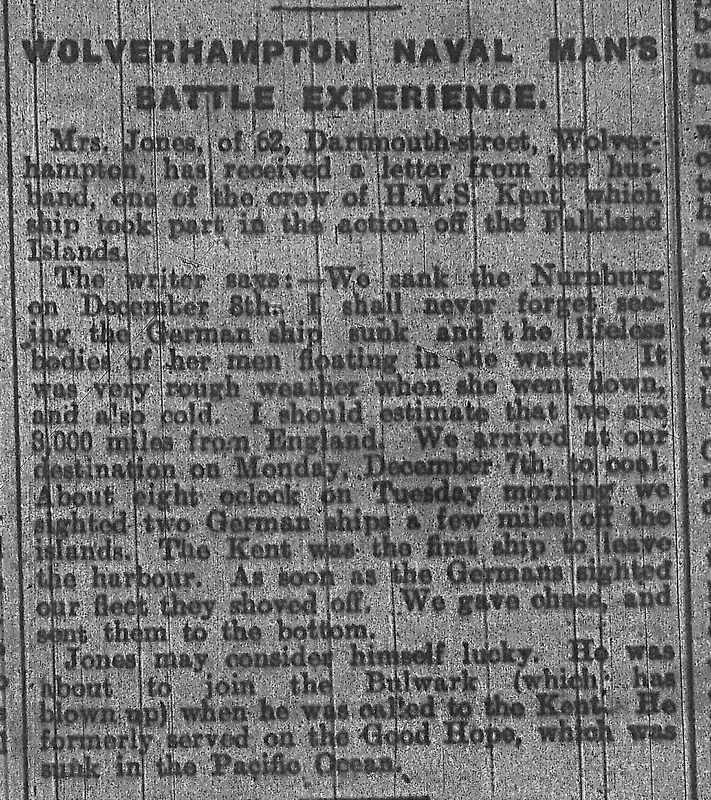 According to the article, Mr Jones had had a lucky escape, as he was originally going to join the Bulwark before being called to the Kent. The former ship had recently blown up after an accidental explosion, killing 736 men. As we do not have first names for either of the Jones couple, we cannot really find out any more information about them, as they are not living at 62 Dartmouth Street in the 1901 census. The HMS Kent was the ninth Royal Navy ship by that name, a Monmouth-class armoured cruiser that was launched in 1901. This ship survived the War, before being sold for scrap in 1920. 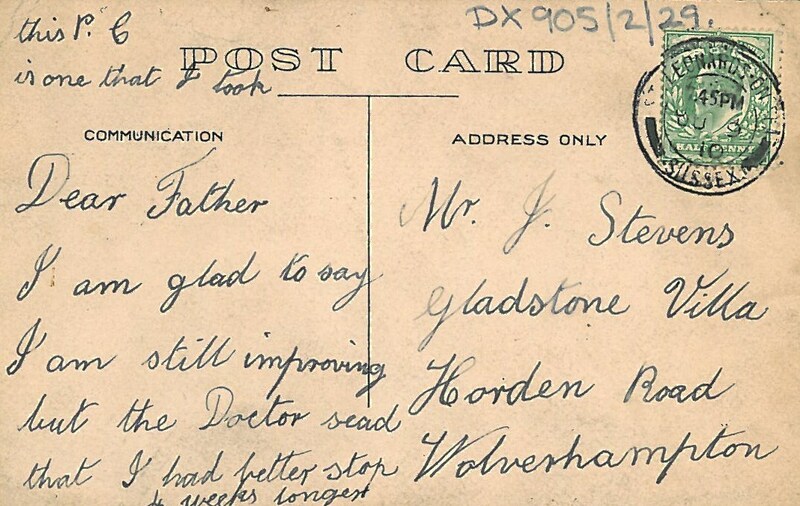 We have a collection of family papers, personal letters and postcards relating to the Stevens family. Amongst this collection is a postcard of Eversfield Chest Hospital. On the back of the postcard are simply the words “Edmund Stevens died here 1915”. I was intrigued to find out more. Fortunately, the collection itself has a number of items that help tell the story. Edmund George Stevens was born on 24 September 1880 to parents John and Sarah Stevens (nee Brown) of 132 Coleman Street. His father was a key smith. He appears to have gone to school in London, as there are items among the collection that seem to suggest this, including a Regular Attendance card issued by the School Board for London. 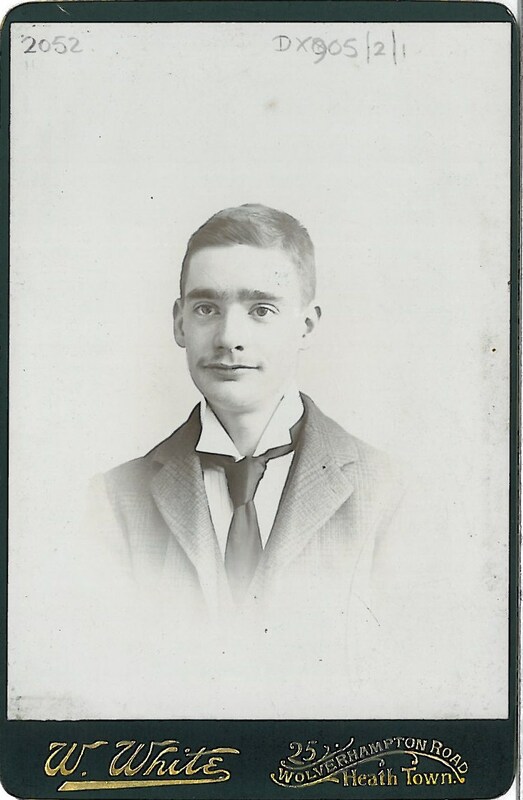 By the 1901 census, the now 20-year-old Edmund is a locksmith, living with his parents at 215 Hordern Road, together with his sister Sarah and his adopted sister Adeline Chitty. I am glad to say I am still improving but the Doctor sead [sic] that I had better stop 4 weeks longer. Although it is unsigned, I presumed that this postcard came from Edmund. This was backed up by the fact that it is postmarked St Leonards-on-Sea, in Sussex, which is where the Eversfield Chest Hospital was based. Unfortunately, Stevens apparently took a turn for the worse. According to the material in the collection, Edmund Stevens died on 23 April 1915, although I have not been able to find a record of his death on the GRO index. I had assumed that Edmund’s death in 1915 was related to activities in the War, but I have not been able to find any military record for him, and he does not appear on the Commonwealth War Graves Commission site. This indicates that there may not have been a link to the War after all. 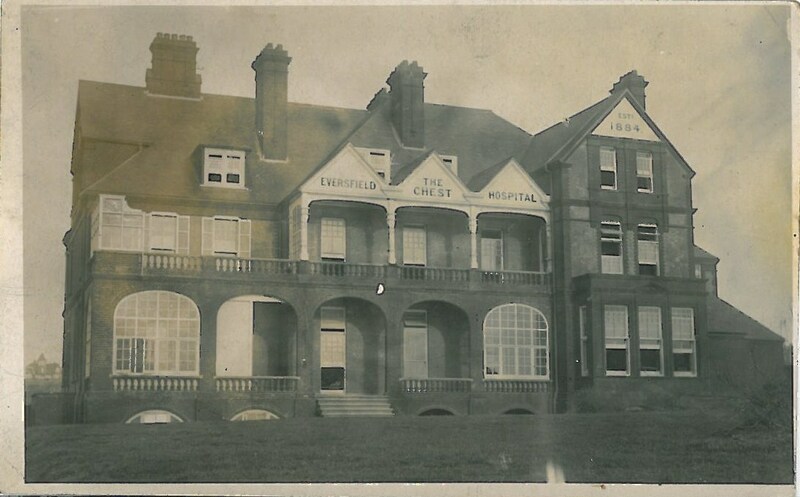 The patient admission records for Eversfield Hospital do not appear to have survived for this period, so we may never know exactly what happened to Edmund Stevens. Charles Trevitt Ellis was born on 14 February 1896 in Wolverhampton, the son of cabinet maker Samuel Ellis and his wife Mary Elizabeth (nee Greaves). In the 1901 census, the family were living at 25 Dawson Street, Wolverhampton, and included Charles’s 8-year-old brother, Robert Henry. The young Charles was educated at Red Cross Street School in Wolverhampton. By 1911, the family had moved to 52 Craddock Street, by which stage Charles had become an Assisting Fitter in an Electrical Works. Unfortunately, his brother Robert had died in 1909 aged 16 years. Ellis enlisted in the 1st/6th (T.F.) in the South Staffordshire Regiment (no 2904) on 5 September 1914. 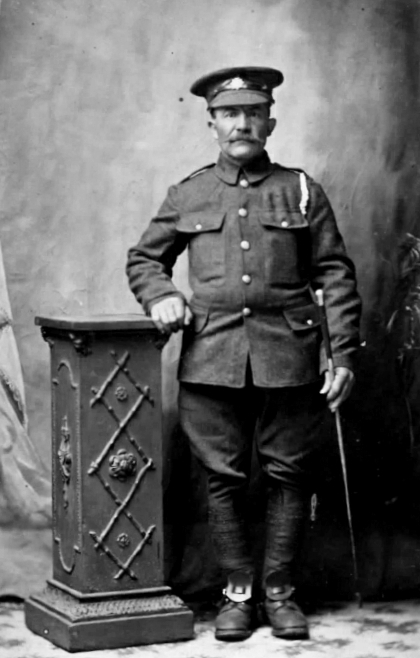 He served with the Expeditionary Force in France and Flanders. He was killed aged 19 years on 29 July 1915 from wounds received in action at Hill 60. He is buried at the Railway Dugouts Burial Ground (Transport Farm) in Belgium. More information on the Battle of Hill 60 is available here. Frederick Stockton was born on April 30, 1868, in Dudley. 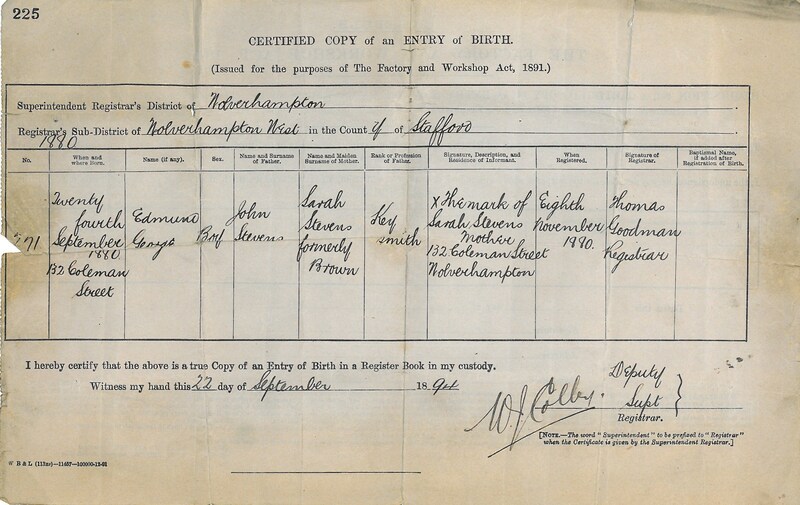 Frederick Stockton was married in October 1896 in Wolverhampton to Mary Ann Clayton. In 1901, he was living at 48 Sidney Street, Wolverhampton with Mary Ann and four children and was working as a Carter. By 1911, they had moved to 35 Dartmouth Street. Census shows that they had had six children but had died, Horace, ‘from convulsions’. He was 18 months old. A news cutting details the inquest. Horace had been ill for two weeks, so they visited the doctor who gave Horace ‘some medicine’ and sent him home. He died later that day after suffering several fits. He died during the last one. A sad and tragic story. The Coroner said he was well looked after and did not blame his parents for the death. For some odd reason the papers show his age as 37 years 341 days when in fact he was 47. 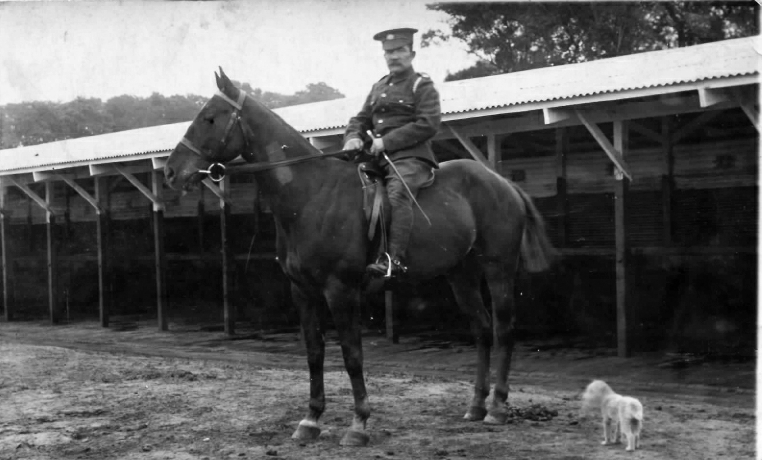 He joined his unit at the Ormskirk Remount Depot. His Army Number was 063945. Records show him as being posted to 3 Base Remount Depot in Dieppe, travelling by sea on the SS Viper, from Southampton and arriving at Le Havre. He was on Home Service from April 1915 to August 1916, and in France from August 1916 to February 1919. On discharge in March 1919, he was entitled to British War Medal and the Victory Medal. During all this and back on the home front, his wife Mary Ann was living with their four youngest children at 35 Dartmouth Street. Their two eldest sons Frederick and Bernard were away serving in France. No military records exist for Bernard but he survived and moved to Australia in 1920. Frederick his brother also survived but the only record found is a pension record confirming that he enlisted in May 1915 and was demobilised in March 1919. He was in the South Staffs regiment, his number 24112. Frederick died in January 1940, Mary Ann in October 1936. 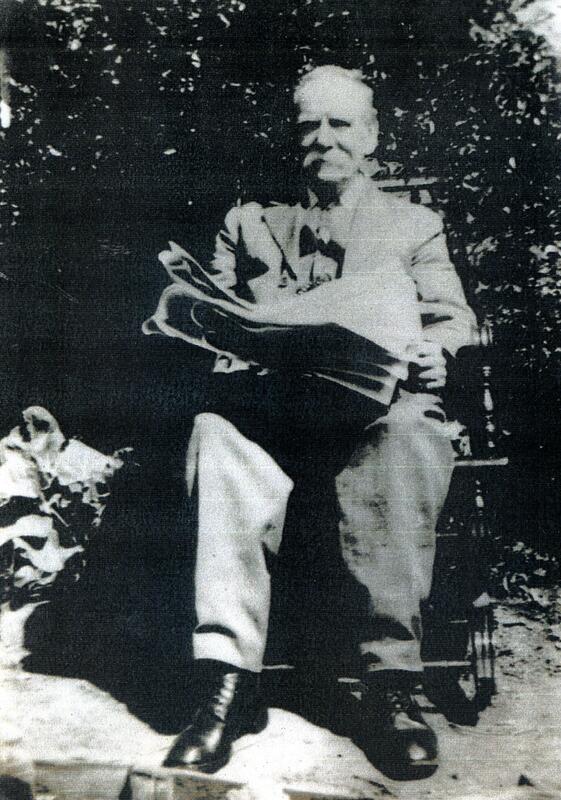 William Bruerton was born in Wolverhampton in 1874, the son of James and Honor Bruerton. 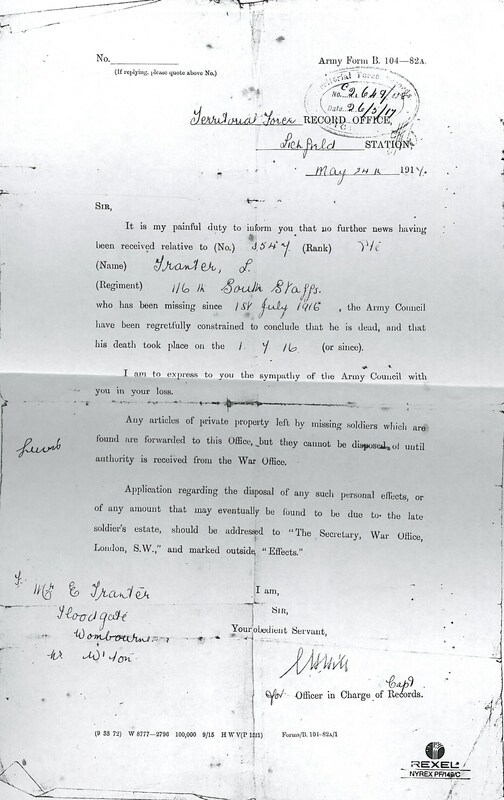 By the 1901 census, the family were living at 38 Dudley Road, and William can be found together with his two sisters (Florence and Minnie) and two brothers (Leonard and Walter). William is an enamellers packer. He appears to have got married in 1901, but it is unclear from the indexes whether he married Ada Evans or Eliza Elizabeth Foxall, and no records were found of any children being born. He died in December 1946. Harold William Mountford was born 14 October 1896, the eldest son of Alfred and Alice Mountford of 93 Lime Street. He enlisted in the 12th Battalion of the Prince of Wales’s Own (West Yorkshire) Regiment, as Private 27387. The official history of the Regiment states that this battalion were involved in an attack at Cambrai on 20 November 1917: “On the right the 12/West Yorkshire met with little opposition, but the 1/Northumberland Fusiliers on the left had a sterner task; many counter attacks were delivered and about 4pm the left company was driven back.” Eleven of the battalion were killed in action during the attack, made up of seven privates (including Mountford), one Acting Corporal and three Sergeants. Harold is officially commemorated on the Arras Memorial, as well as on the memorial at Beckminster Methodist Church in Penn Fields. This article appeared in the Express and Star on 8 December 1914, but verifying the facts of the article has proved rather more difficult. The article reports on the death of Leonard Rhodes, who died in a hospital in Boulogne following serious shrapnel wounds to the head. A former resident of Franchise Street in Blakenhall, he had been working at Sunbeam Motor Works when the First World War broke out. He was apparently 35 years of age, originally from Dudley, and serving with the Worcestershire Regiment. According to the Commonwealth War Graves Commission and his medal card, however, Rhodes clearly served with the 1st Battalion of the Warwickshire Regiment, service number 8. Finding his birth has been difficult, too. There are no 35-year-olds from Dudley with that name – they all appear to have been born elsewhere in the country, including Nottinghamshire and Yorkshire. Even if we widen the search in terms of the year of his birth, there are no children born in Dudley called Leonard Rhodes. We can therefore assume that, either, he was born elsewhere, or Leonard was his middle name. There are a number of boys born in Dudley of about the right age where the middle name is not given – Wilfred, Samuel, Enoch, and Arthur – so it may be that he was one of these. As there is no widow mentioned in the article, we can presume that he had not got married. Rhodes is buried at Boulogne Eastern Cemetery: Plot III, Row B, Grave 49. He is also commemorated on the Roll of Honour displayed inside St.Luke’s Church in Blakenhall. This blog post has appeared thanks to a posting by Warwickshire Soldiers on the Western Front 1914-1918. A search on the Commonwealth War Graves Commission website confirms this, giving the soldier’s full name as Lewis John Tranter, service number 240873, of the B Company, who died aged 25 on 1 July 1916. He is the son of Edward and Emily Tranter, of Flood Gates, Wombourne, Wolverhampton, and he is commemorated on the Thiepval Memorial in the Somme, in France. His medal card can be found at the National Archives. His birth was registered in Wolverhampton in Jun 1891, and he does not appear to have married. 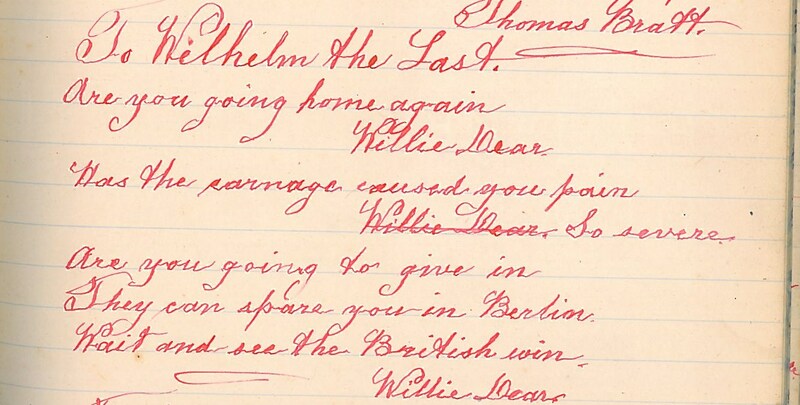 Thomas Bratt was born on 25 February 1852 and lived in the Portobello area, in between Wolverhampton and Willenhall. As well as being a local tradesman, he was a very prolific poet, writing about the local area, football, international events, royalty, and other notable people, as well as some religious poetry, psalms and sonnets. He wrote all his poems in red ink to ensure that the ink did not fade, and that his poems survived for posterity. 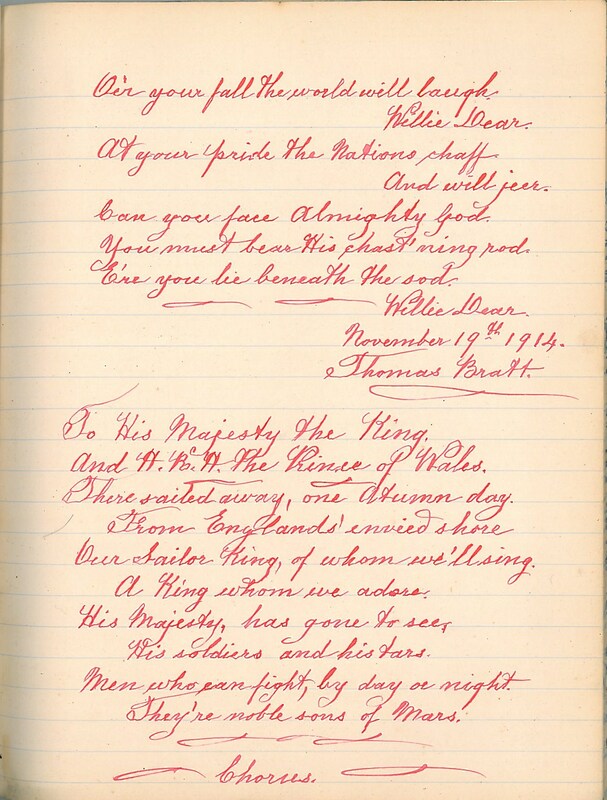 As well as having them published in local newspapers, he also sent copies of many of his poems to the individuals concerned, including to Buckingham Palace, and he often received grateful letters in return. He died on 19 August 1929 and is buried in Bentley Cemetery next to his wife, Lucy.